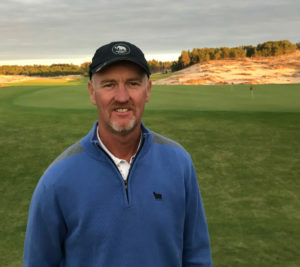 NEKOOSA, Wisconsin — After attending the grand opening of his new Mammoth Dunes course at Sand Valley Golf Resort in June, architect David McLay Kidd didn’t get back to Wisconsin the rest of the year. But the Scotsman did, naturally in this day and age, follow Twitter and the golf press to see how his latest creation was being received. Splendidly, he was pleased to hear again and again. It wasn’t always so. In the past, Kidd has acknowledged building golf courses that were too penal, too difficult and too merciless, and he earned his share of criticism for it. And by all accounts, Mammoth Dunes is most certainly that. “It’s fair to say that Mammoth has the potential to be considered among the most fun courses in golf — in elite company, for sure.” And golf writer Len Ziehm echoed the notion, calling it “the most fun golf course I’ve ever played. And that’s saying a lot. If “fun” was a favored descriptor, it was closely followed by “gargantuan” and its many synonyms, because unlike the big man who answers to Tiny or the milquetoast to Butch, this golf course was well and truly named. 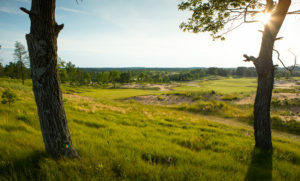 Mammoth Dunes is simply mammoth, with fairways that stretch up to 120 yards wide in places, with massive greens and a routing that leaves first-time players wondering if they are wandering ever deeper into the golf wilderness. So Kidd has a winner, and so does the Mike Keiser-owned golf resort that has already become a bucket-list destination in just its first few years in existence. 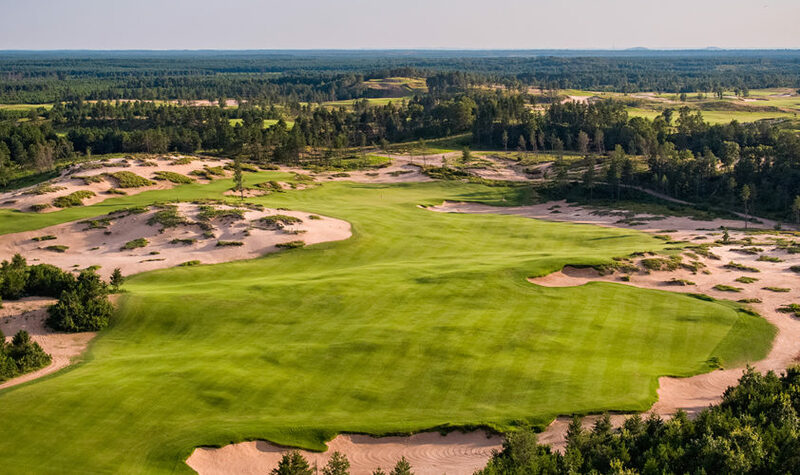 The two courses now open have proven so successful that Sand Valley has announced the selection of architect Tom Doak to design yet another regulation course, tentatively called Sedge Valley, that will likely stretch to just over 6,000 yards and play to a par 68. That will be Sand Valley’s fourth course, because this year the resort also opened a 17-hole par-3 course called the Sandbox. 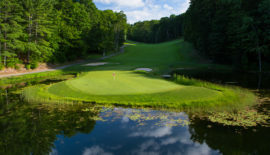 Glen Murray, the resort’s general manager, had said at the beginning of the season that going forward with a fourth course would depend in large part on whether enough players turned out to support those already in place. Spoiler alert: They did. “Our rounds were great,” said Michael Keiser Jr., who with his brother, Chris, is involved with the operation at Sand Valley. When the highly anticipated Mammoth Dunes was finally opened, he said, “that pent-up demand was unleashed. The courses have their similarities, from the same grasses to oversized greens and of course the obvious sandy base. Both have five par 5s and, except for golfers with medical excuses, are walking only. Caddies are available. The biggest difference between the two is Mammoth Dunes’ epic scale. 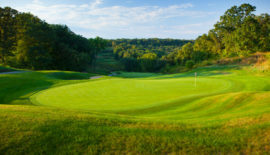 It has nearly 20 percent more grass than the Sand Valley layout, which Kidd said was the key to the course’s playability. A player who is confident about hitting a fairway will be able to swing more freely, Kidd said, calling “the width and the ability to recover,” a gift to the occasionally wayward golfer. The Scottish-born Kidd burst onto the national golf scene when, at just 29, he was hired by Mike Keiser to create Bandon Dunes on the rugged coast of southern Oregon. That course is now rated among America’s top 10 layouts and, with the addition of four more courses, Bandon Dunes has become one of the world’s top golf destinations. Kidd has acknowledged that he later went overboard in designing courses that were too difficult that left golfers frustrated over high scores and too many lost balls. A frustrated golfer, he now says, is not likely to want to return for another expensive beating. It led him to introspection and a new philosophy of course design that no longer means protecting the course against an average player making par, but against an attacking golfer making birdies or eagles instead. Before beginning work on Mammoth Dunes, Kidd and his design partners went to Bandon Dunes to examine what had made the course so successful and employed many of those features in the new Wisconsin course. In addition to wide fairways he included large greens that could be approached from a variety of angles. Some even were designed to funnel approach shots in the proper direction. It proves, he said, that it is still possible to give a golf course “the same visual ‘wow’ experience,” as a more difficult layout while also allowing the average golfer to experience success while still challenging the better players. “That’s the genius of it,” said Murray, the general manager who plays to a 2 handicap. 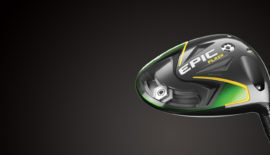 “He’s built something that hits the sweet spot with good players as well as (average) golfers. The dominant feature at Mammoth Dunes is, well, a mammoth dune ridge along which Kidd routed a number of holes. 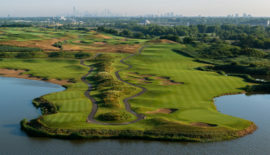 Notable holes include the par-3 eighth which has an “island” green surrounded not by water but by sand. On the par-5 seventh hole Kidd discovered the stone foundation of an old settlement home and left it in place as part of a most unusual bunker. 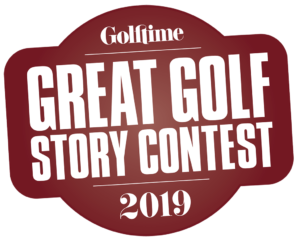 The 14th is a downhill drivable par 4 — it stretches just 297 yards from the second set of tees — that was designed by Golf Digest’s Armchair Architect contest winner Brian Silvernail of Florida. Similarly, the par-4 sixth hole is also potentially drivable for big hitters and boasts a large, horseshoe-shaped green. Sand Valley won immediate “best course” honors after its 2017 unveiling and expectations were that Mammoth Dunes would also be so honored. Indeed, in its December issue Golf magazine named it the best new course of 2018. Yet, Murray said there is no obvious consensus among visiting golfers that one course is superior to the other. The course that started it all, Bill Coore and Ben Crenshaw’s stellar Sand Valley, named Best New Course in the country in 2017. Also in 2018 Sand Valley opened Aldo’s Farm and Table restaurant, named for the noted Wisconsin ecologist Aldo Leopold. A copy of Leopold’s iconic “A Sand County Almanac” can be found in each of the resort’s guest rooms, which include lodge rooms, cottages and suites. The resort also added nine grass tennis courts to its roster of amenities. Other activities include nearly 100 miles of hiking and biking trails, fishing and, in season, snowshoeing and cross-country skiing. 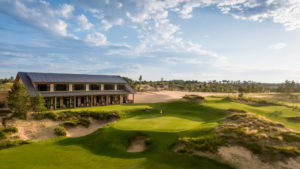 Sand Valley Golf Resort is located near Nekoosa, Wisconsin, about four hours from Chicago, just over two-and-a-half hours from Milwaukee and less than three-and-a-half hours from Minneapolis.